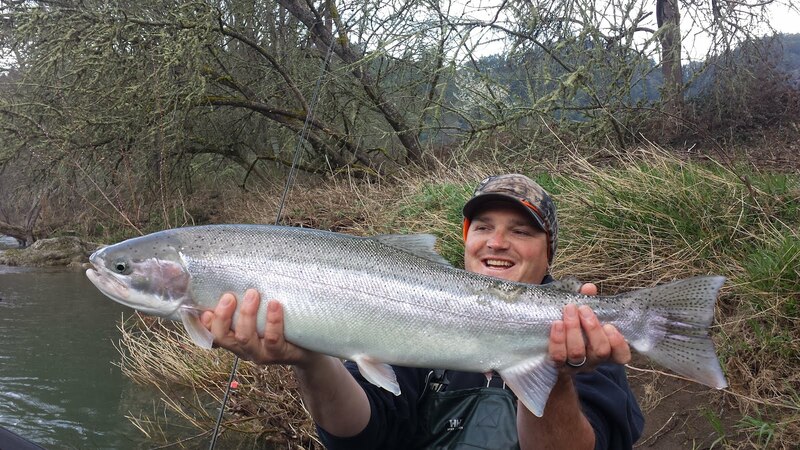 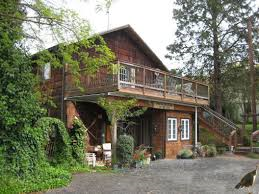 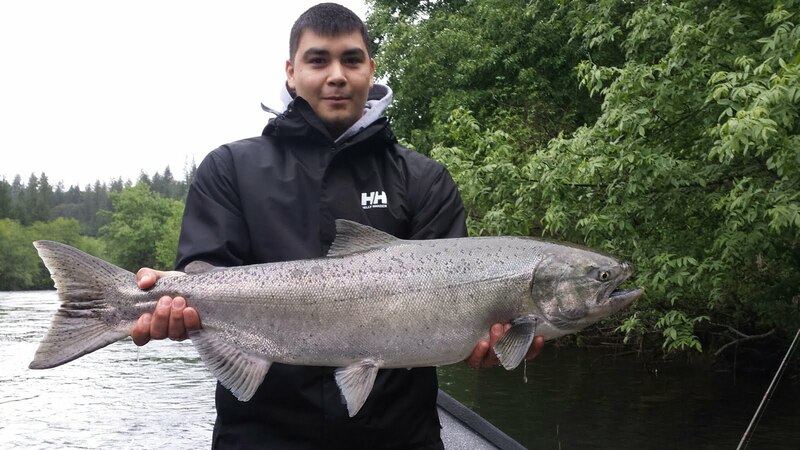 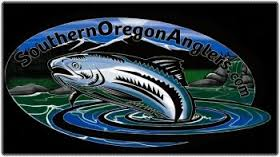 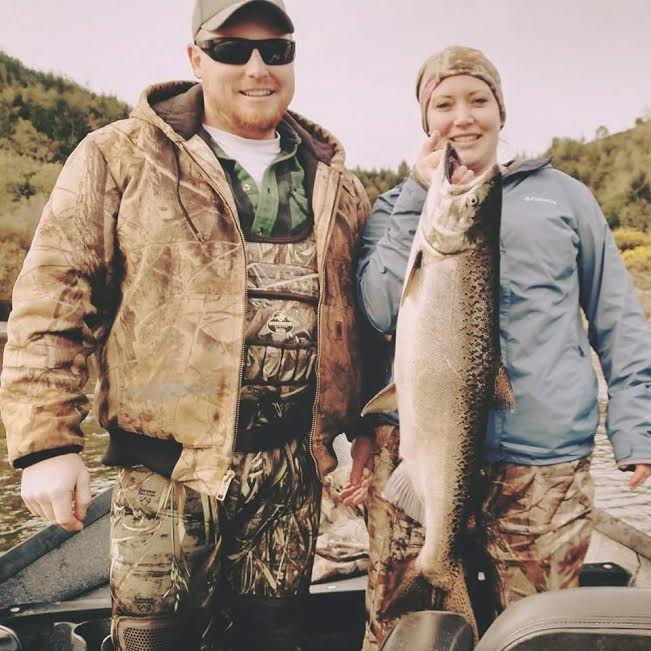 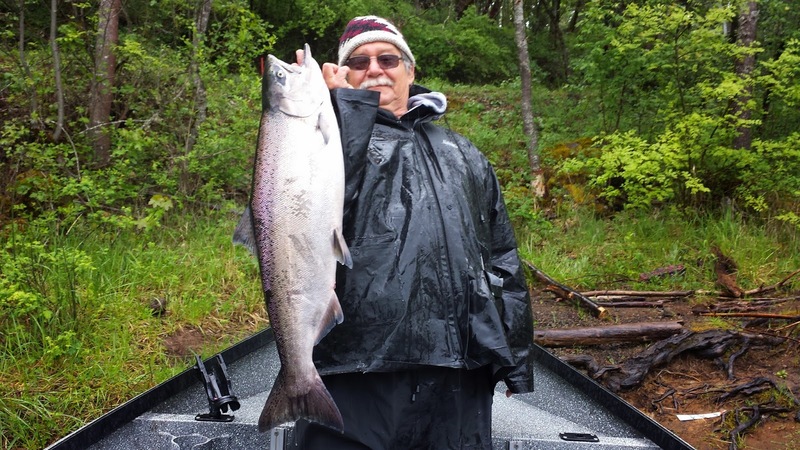 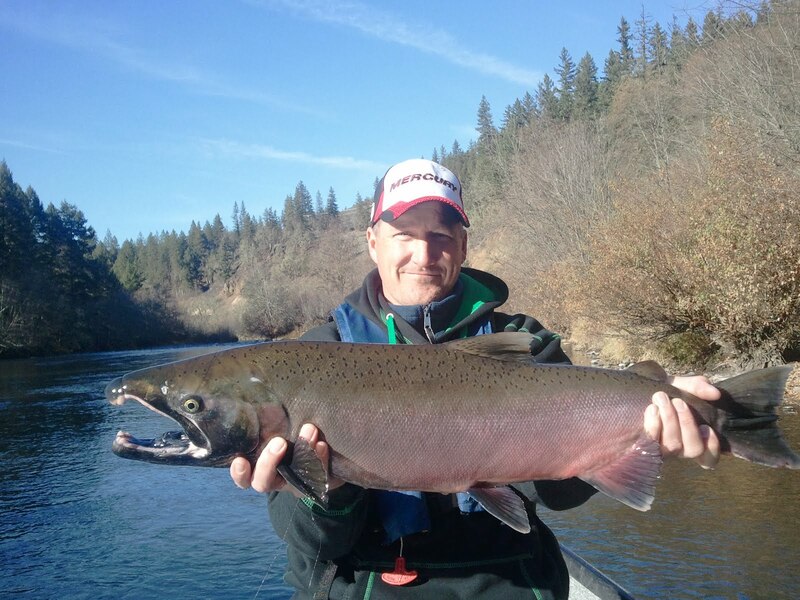 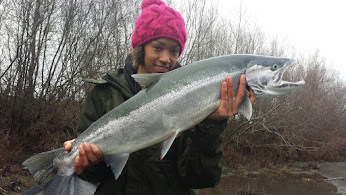 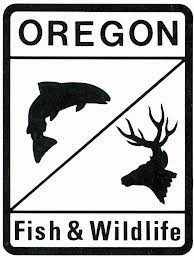 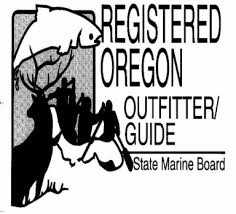 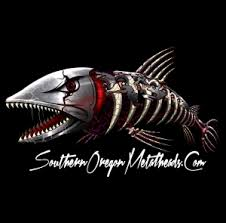 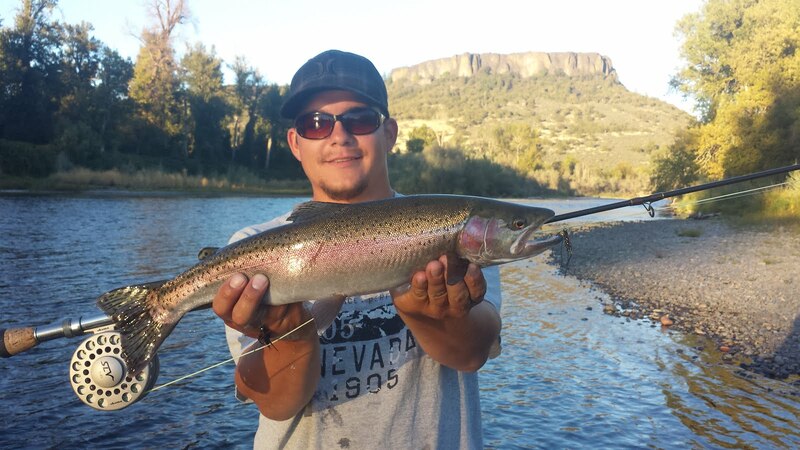 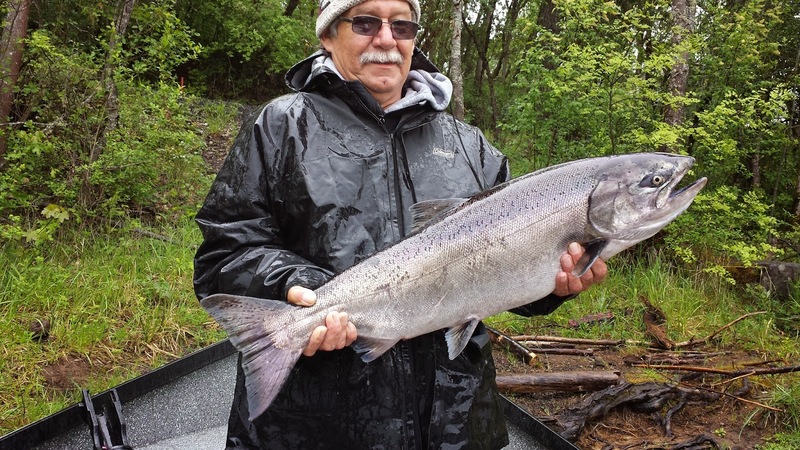 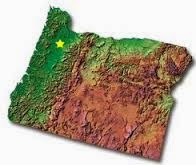 Guided Fishing on the Rogue and Umpqua Rivers' for Salmon and Steelhead in Southwest Oregon: There Are Good Numbers of Spring Chinook in the Upper Rogue River in Early May 2014 - Booking Now!!! 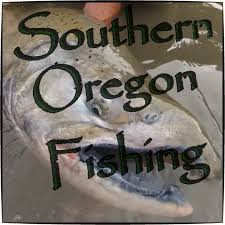 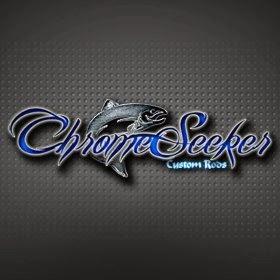 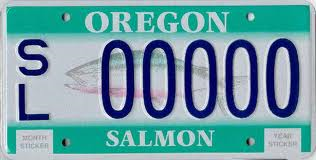 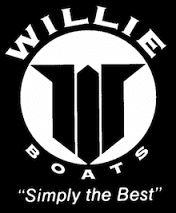 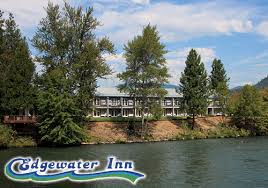 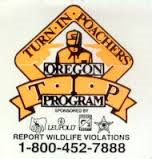 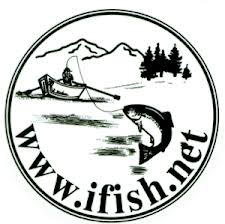 There Are Good Numbers of Spring Chinook in the Upper Rogue River in Early May 2014 - Booking Now!!! 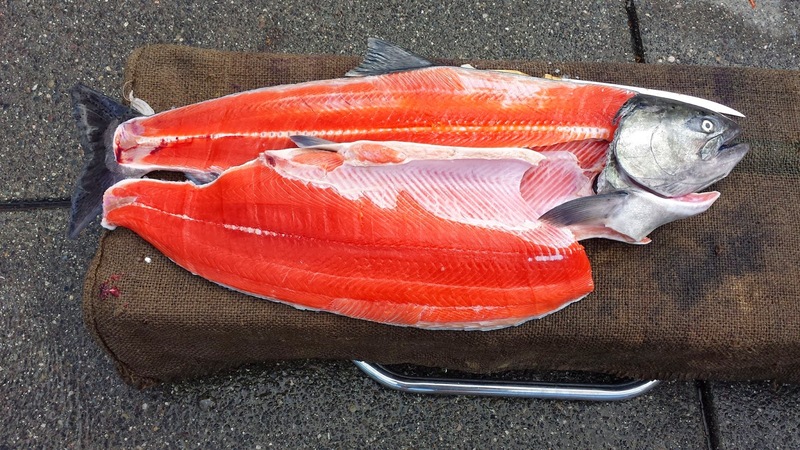 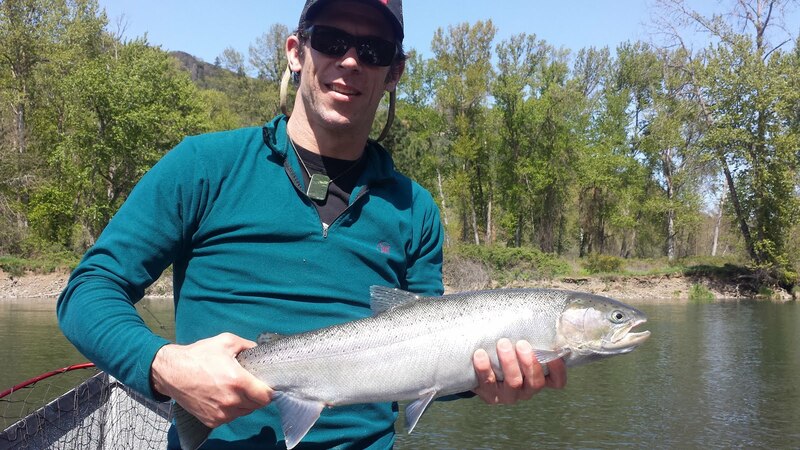 Spring Chinook (Springer) fishing has been good for this time of year on the upper Rogue River. 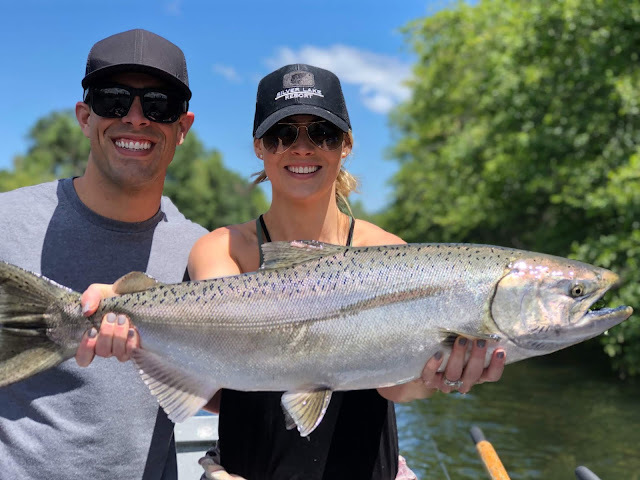 We seem to be getting a few bites through out each day on the water. 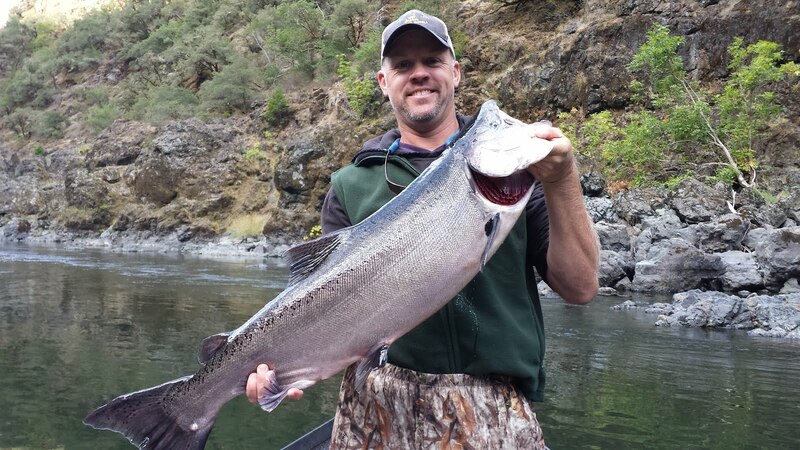 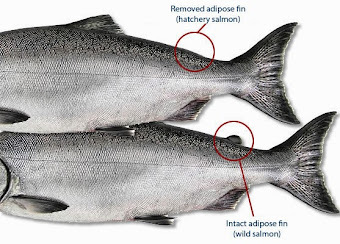 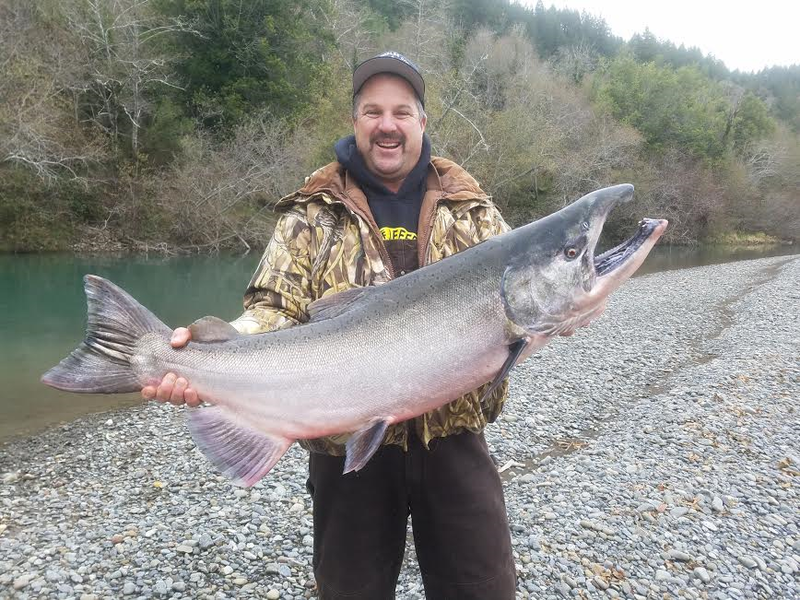 It's typically early to be catching good numbers of salmon this time of year but maybe the rumors are true that 2014 is going to be an above average season for anglers on the Rogue River. 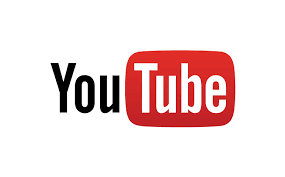 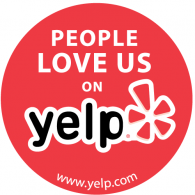 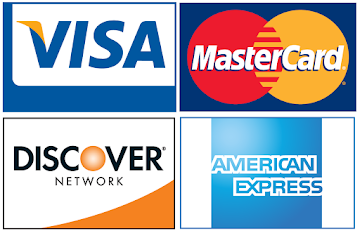 It sure has started out great for us! 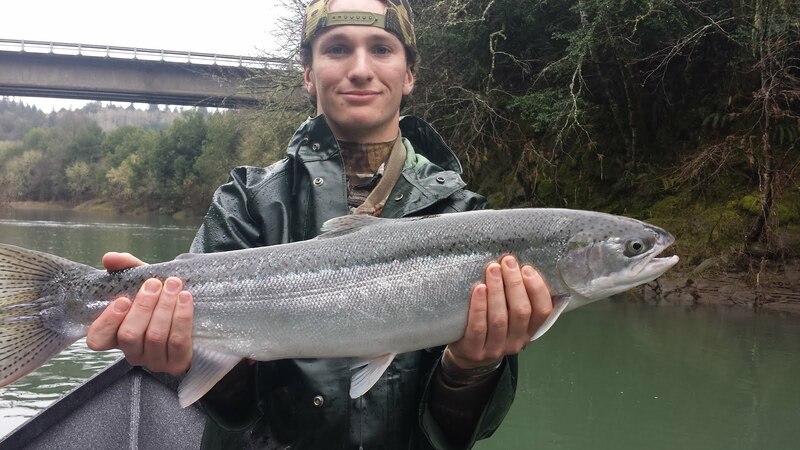 We mostly catch our salmon from 4:30am to noon, so an early start is key! 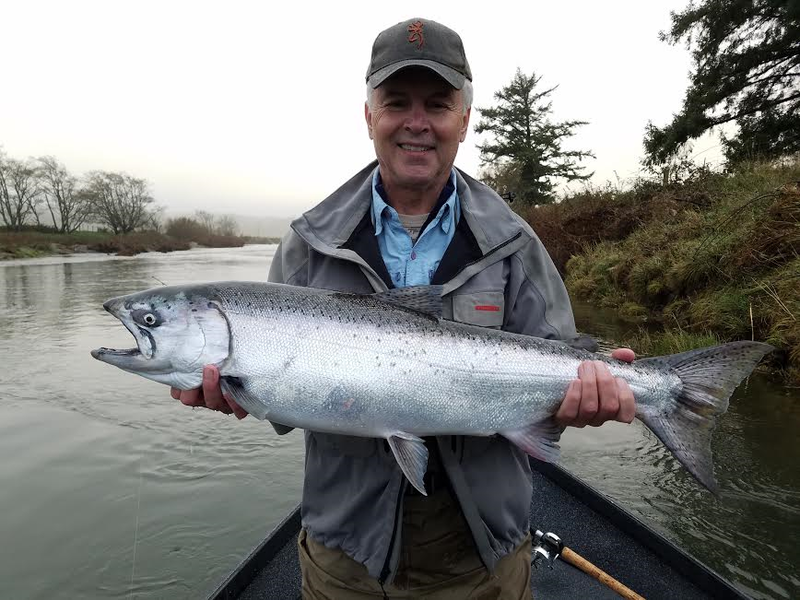 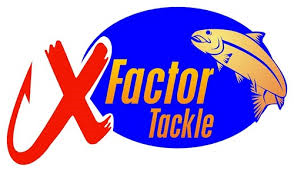 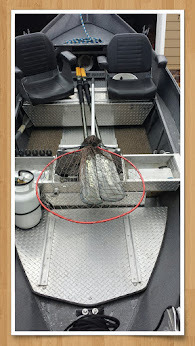 The hot ticket is back-bouncing eggs, which can be a tricky technique to learn but when it's done correctly, anglers can fill up the fish box.